The ninth and final season following pensioners Jack and Victor will be able to view in 2019. 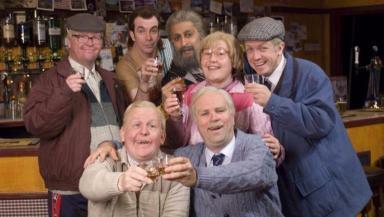 Last series: Still Game comes to an end. Still Game fans will get to see the long-awaited final series of the comedy show when it airs on TV in February. The ninth and last series featuring the exploits of pensioners Jack and Victor will feature guest stars such as singers Amy Macdonald and Midge Ure, and Line of Duty actor Martin Compston. Series writers and stars Ford Kiernan and Greg Hemphill said they are looking forward to fans watching the final instalment of their journey. Kiernan said: "We're looking forward to our audience joining us at the end of our fabulous adventure." The final series reunites Craiglang regulars Isa (Jane McCarry), Navid (Sanjeev Kohli), Boabby (Gavin Mitchell), Winston (Paul Riley) and Tam (Mark Cox) for six episodes. It is set to air on the new BBC Scotland channel before hitting BBC One later in 2019. Kiernan added: "Scotland is where Still Game's roots began and it's right the story comes to an end here. "From the early beginnings on radio through to TV, we started to build Still Game in Scotland so we're honoured our show will be part of the launch of a new BBC channel from Scotland."